The Communion Veil: What Really Happens at the Holy Mass. It took about a year of going to Holy Mass daily, but then things started to change. This was no longer an obligation, but a joy! God started to open my eyes to what was really going on in the Holy Mass. I was astonished at what I learned. The Holy Mass is the greatest event that ever happens on the earth. The Holy Mass is the greatest victory on the earth. Without the Holy Mass the world would cease to exist. The Holy Mass is where the love of God and Earth meet, or literally Heaven on Earth. Each Holy Mass offered has some benefit for every person still living on the Earth. Not just Catholics, but all. The amount of this benefit is according to the grace and mercy of God and known only to Him. 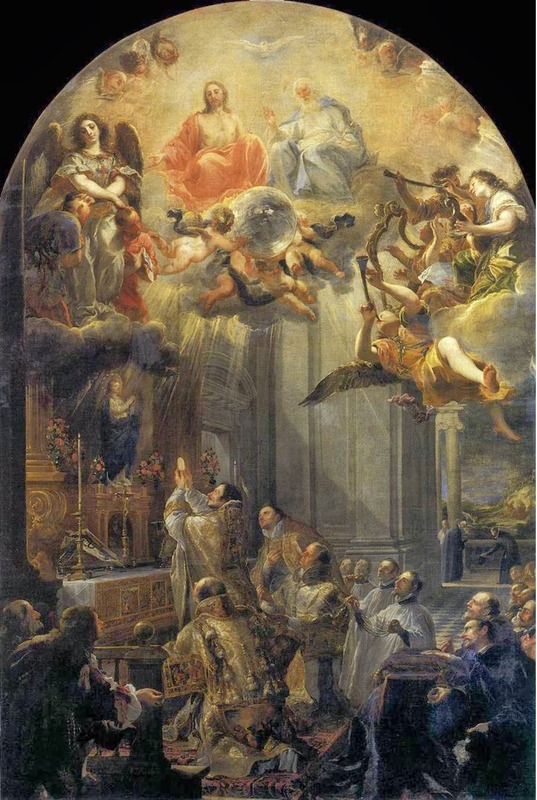 The Holy Mass is a great benefit to the souls in purgatory, and releases many souls. 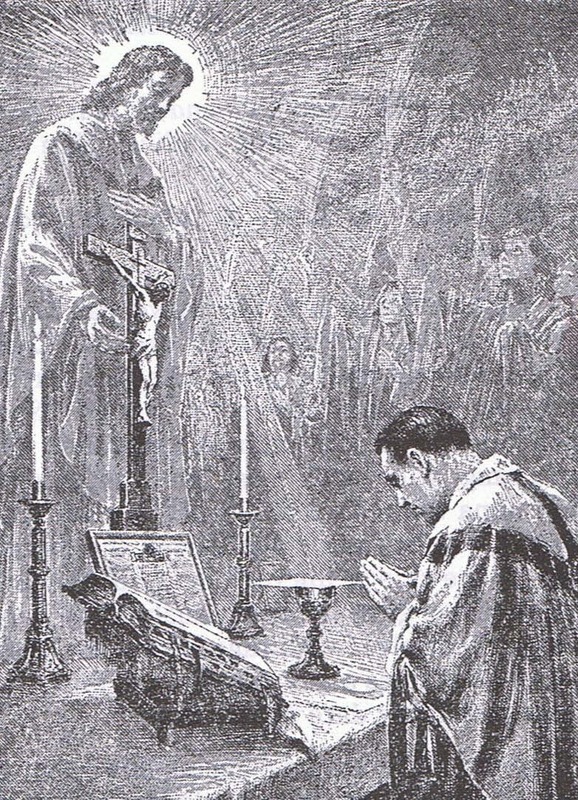 The Holy Mass received with reverence gives us a love for things that are Holy and of God. The Holy Sacrifice of the Mass offered to God defers a right and just judgement against us that we would have otherwise suffered, and has done so since the Last Supper. Now, think what a Priest really is. A Priest, is not just for Catholics, but by God's grace, he is a Priest for the whole world and the Holy Mass and the Blessed Sacrament is God's house of light, calling all to Him. May he never shun lightly offering this gift to God which only he can do for us. If you truly understood what the Holy Mass truly is, you would RUN to confession, and want to do what is right before God so that you can receive well that which is most Holy. The Holy Mass and most Blessed Sacrament ARE NOT YOUR RIGHT...they are God's gift and should be treated with an eternal gratitude. If you knew what was in a Catholic Church and what was really happening at a Holy Mass, you would enter Church on your knees, with contrition of heart. Go to Holy Mass daily! Can you tell me Title and artisit of the picture in this post, The Communion Veil? Or where I can purchase it? I should clarify, the pencil sketch style picture. Thank you.